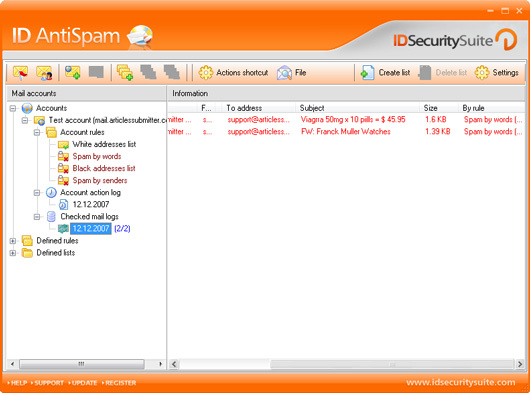 ID AntiSpam is a vital security program designed to filter all incoming e-mails and prevents spam. It analyzes, filters and automatically deletes directly on the mail server. It prevents unsolicited advertising letters (spam) from entering your inbox.Main features inlcudes: filtering of incoming mail, deleting spam using multiple algorithms, preventing mail virus attacks, simultaneously checking multiple accounts.